I love baking with my kids. It’s an activity that always holds their interest, so even though it’s summer, our baking schedule doesn’t slow down in the heat. With the never-ending hot weather, I avoid the oven like the plague. The outdoor grill has become my best buddy for most of our meals, and being the dessert freak that I am, I turn to no-bake desserts to keep my sweet tooth satisfied. This banana chocolate chip cookie icebox pie recipe satisfies and is something my six-year-old can tackle all by himself. It’s one of our favorite no-bake desserts, and I know it will soon be one of yours. My six-year-old can tackle assembling this dessert all by himself. 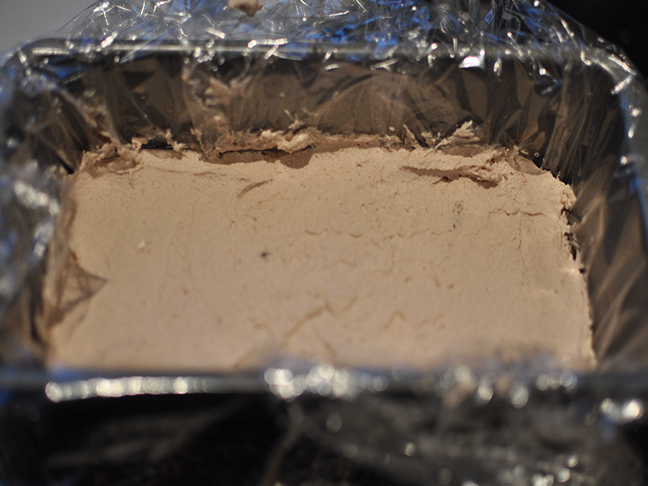 Step 1: Line a 8.5 x 4.5 inch loaf pan with plastic wrap, leaving enough to hang over all of the sides. 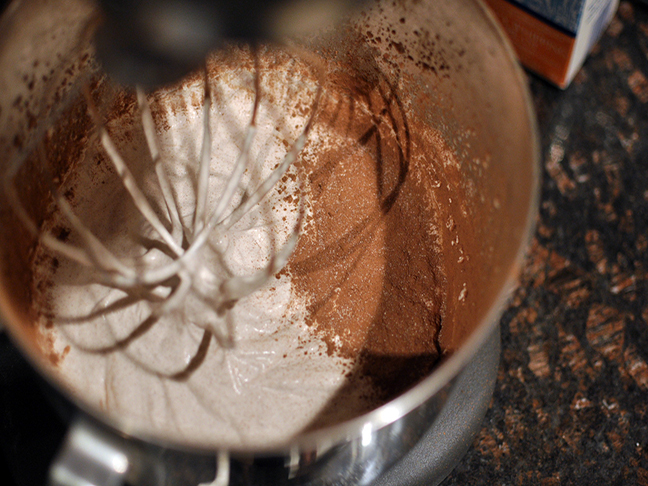 Step 2: Place cream, sugar, cocoa powder, and vanilla into the bowl of an electric mixer fitted with the whisk attachment. Beat on high until soft peaks form. 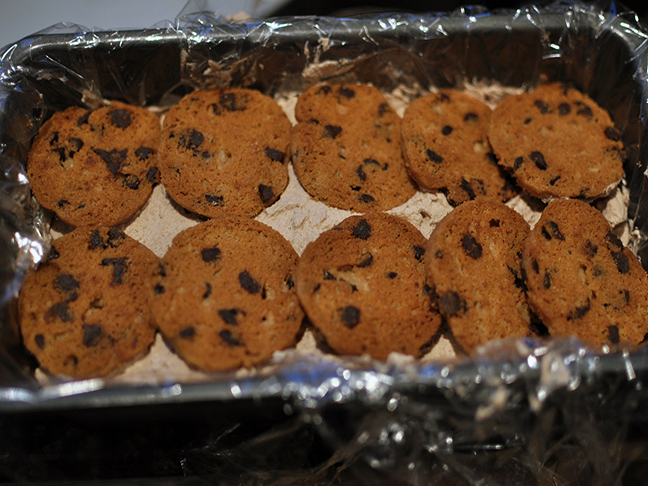 Step 3: Line cookies side by side onto the bottom of the loaf pan in one even layer. 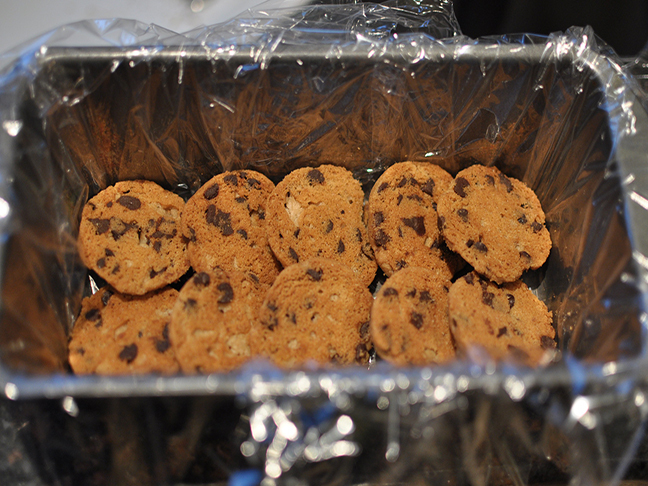 Step 4: Spread ⅓ of the whipped cream mixture over the cookies and smooth into an even layer. 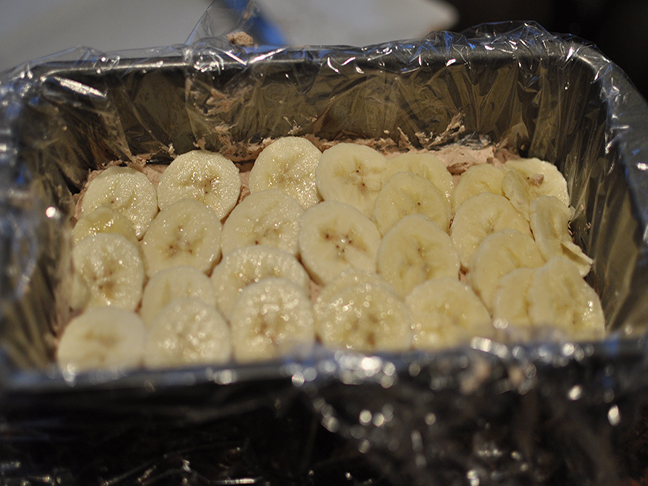 Step 5: Top with a layer of bananas. 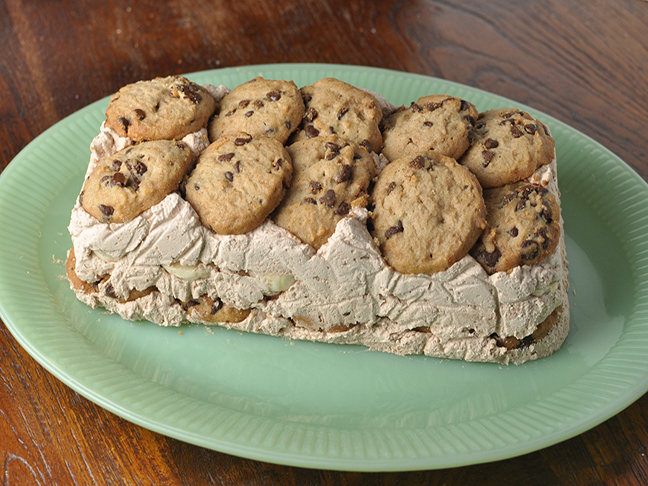 Step 6: Spread another ⅓ of the whipped cream over the bananas and then top with a final layer of cookies. Step 7: Fold the plastic wrap over the bottom of the cake to cover and press gently. Refrigerate overnight. To unfold, peel the plastic wrap back, invert onto a platter, and lift the pan away form the cake. Remove the remaining plastic wrap. Cut into slices and serve immediately.